Facing a changing business climate, business leaders generally believe that they are ready to deal with the challenges and consider innovation and big data analytics can enhance an organisation’s competitiveness, according to the latest Nielsen survey. 70% of those surveyed say that they will prioritize innovation, and 95% believe that innovation is increasingly significant. The concern for innovation is followed by the attention given to big data / predictive analytics (59%) and supply chain improvement (55%). 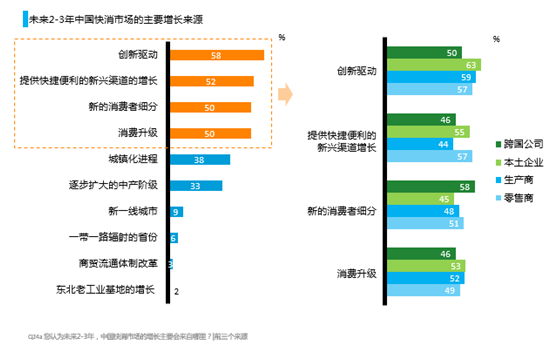 When asked about the areas likely to contribute the most in the growth of China’s FMCG market in the next 2-3 years, business leaders chose innovation (58%), emerging channels (52%), new consumer segmentation (50%) and consumption upgrade (50%) as the key factors. 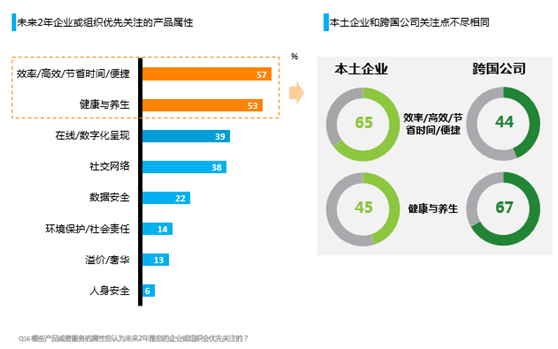 Influenced by the change on the bigger scale, the environment of retail market will also undergo significant transformation. Convenience stores and online marketing/e-commerce are thriving. 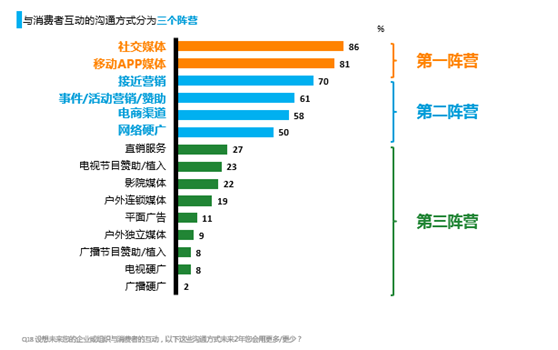 And for the development of local companies and self-owned brands, as well as the power distribution among retailers, they are placed by companies at the second position. Multinational companies value the significance of e-commerce more than local companies do. According to the Nielsen survey, daily commodities, such as fresh food, packaged food, beverage, and household products, are the fastest growing categories in terms of online purchasing. Yet such pattersn might as well lead to the result that the two platforms gnaw away at each other, as online and offline products overlap. The shopping carnivals that once brought grand benefits to e-commerce companies overnight might also cause stagnation in the long run. 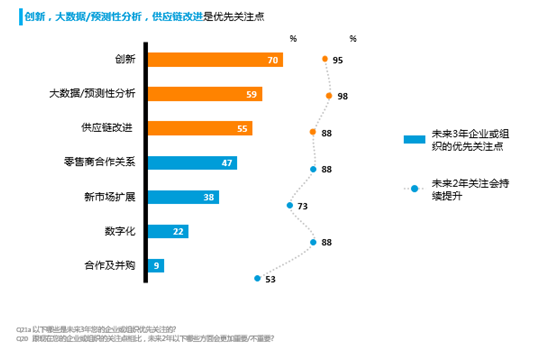 Therefore, the latest focus in retailing market is differentiation on products, strategic marketing, balance in online-offline portfolio of investment, and averting price competition. 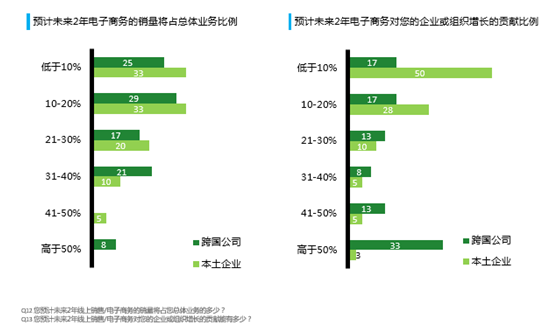 29% of multi-national company leaders believe that online-marketing/e-commerce will contribute to more than 30% of growth in the total business, of whom 8% believe that the proportion will be over 50%. However, most local company leaders think the proportion would be less than 30%. 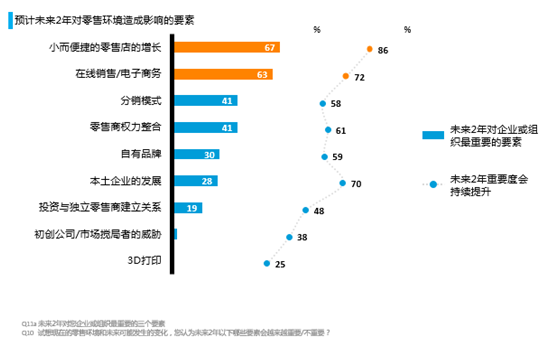 When asked about which attribute of product/service might be important in the next 2 years, most of business leaders select efficiency/convenience (57%) and health/wellness (53%). The study also found that leaders from local companies value convenience more than those from multi-national companies (65% vs. 44%), while things go the opposite way when it comes to health and wellness. (67% vs. 45%). Company leaders should reach consumers by making full use of science and technology. With technology, they can gain access to massive information about their consumers, which allows for the creation of much more detailed segmentation to make more targeted decisions. Most attention is paid to social media (86%), and mobile apps (81%), followed by proximity marketing, event sponsoring, e-commerce channels and ads on websites.